Catering recruitment is one of the sectors we have concentrating on because of its vast scope of development and huge investment attracting power which will surely create huge employment prospectus. 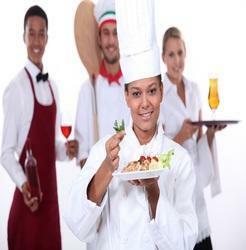 We are providing Hotel Staff Recruitment Services. Our in-depth industry knowledge as well as dedicated process approach also ensures that we meet the exact excellent candidates needs of various concerns. Position Management, Sourcing, Screening, On-Boarding, Contingent Labor.